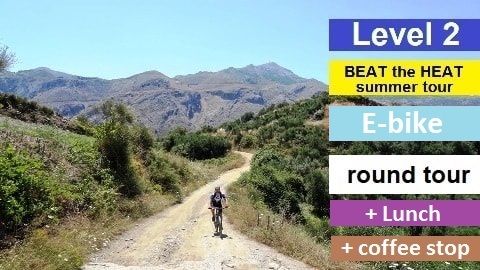 The pace of the tours is slow to moderate depending on the level. The higher the level the faster the pace. 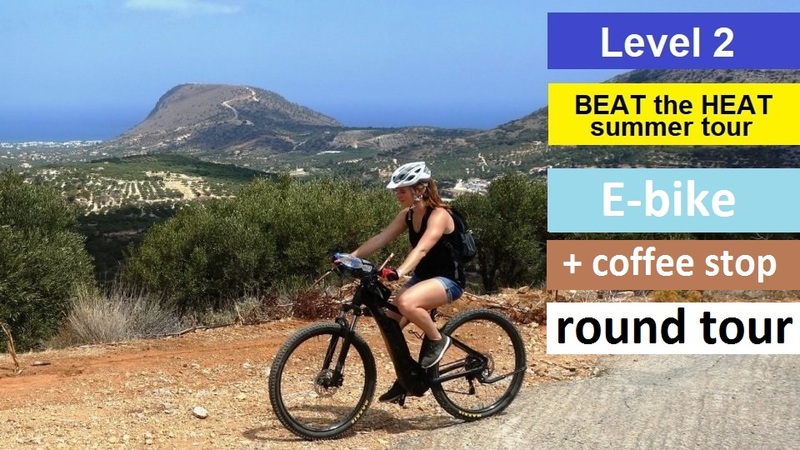 The tours are focused on exploring Crete and have fun. We do stops to admire the view, rest, take photos, talk, have lunch -dinner or swim. 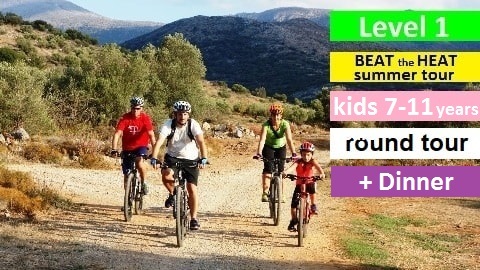 Τhe difficulty of a tour is not defined by the kilometers but by the uphill and the difficulty of the downhill, before you choose a tour find your level. Children 7-11 years old and people that can ride a bike but don’t do sports. Kids older than 12 years old and people who do sports and ride a city bike frequently. 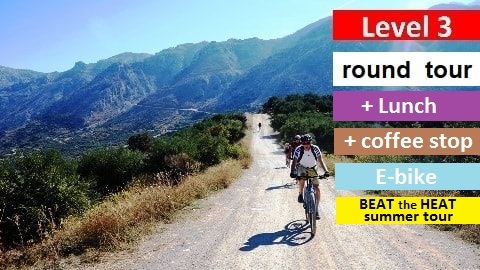 Only for mountain bikers and road cyclists who ride 1-2 times per week. 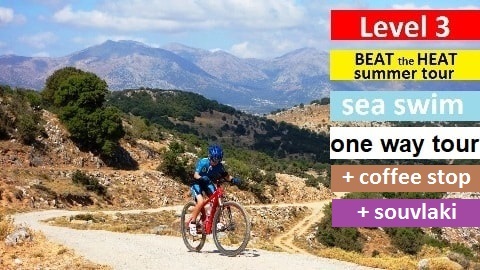 Everyone who stays in Crete can book a guided tour. If you stay inside our “shuttle service area” we offer free pick-up and drop-off service. You can reach us also with public bus or car (bus stop is 300meters outside our bike center). 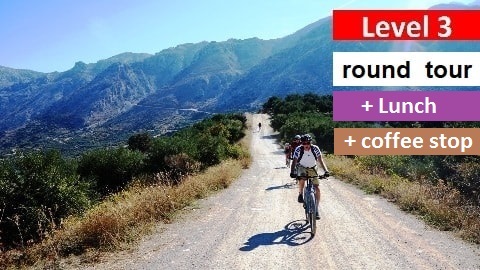 The meeting point of the tours is cyclingcreta bike center at Lyttos Beach Hotel (Analipsi, Hersonisos). •The morning tours usually start between 8:30 and 9:30 depenting on the season, the weather conditions and the level of the tour. 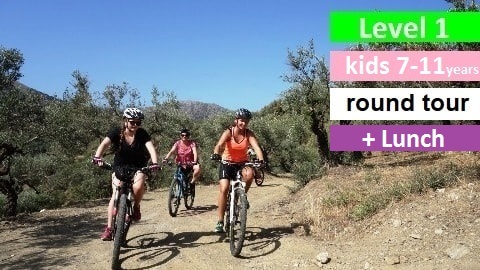 The afternoon bike tours start between 16:00 and 18:00. The start time of each tour and pick up times (from your hotel) will be given 1-3 days before. Guests are requested to contact us via email or phone (2-3 days before the tour) to arrange pick-up and check for availability and start time. 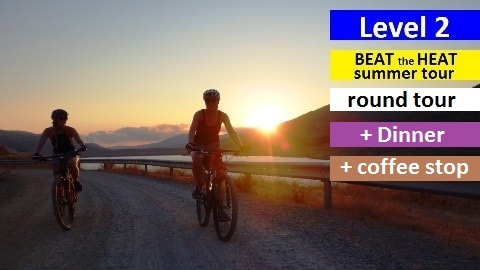 •Depending on the weather conditions the program of the bike tours can vary. 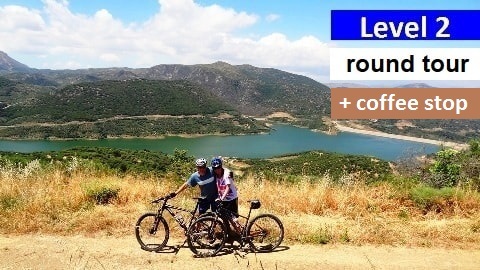 If the weather conditions are not optimal we do a similar tour to a different area of Crete.